A Veterans Affairs Inspector General report was released on an audit of the Veterans Administration facilities in the wake of news that the VA medical system is in trouble. Numerous senators called for the VA Secretary’s resignation. The secretary of Department of Veterans Affairs Eric Sheinseki resigns due to the Veterans Administration medical system scandal. 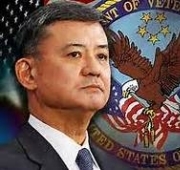 President Barack Obama said Friday, May 30, 2014 that he decided to accept Eric Shinseki’s resignation after previously supporting his Veterans Affairs secretary because of Shinseki’s “belief that he would be a distraction from” making the needed fixes to the troubled VA medical system.